Your driveway can represent a significant portion of the value of your property. If you paid to have it installed, then you are aware of the expense. If the driveway was there when you bought your home, you'll want to do all you can to extend its useful life. With the constantly rising cost of hot asphalt, there has never been a better time to preserve what you already own. In many cases, homeowners live with a damaged, failing driveway for years before they choose to replace it. Avoid that frustration by properly maintaining and protecting what you have now. Your asphalt driveway is simply a structure made up of aggregate, fines, and liquid asphalt binder, better known as rocks, sand, and glue. Left unprotected, as with anything kept outside, the pavement will begin to fade and crack, then ultimately weaken and fail. Once cracks form and widen, the penetration of water through to the base will cause sub grade erosion and pot holes. 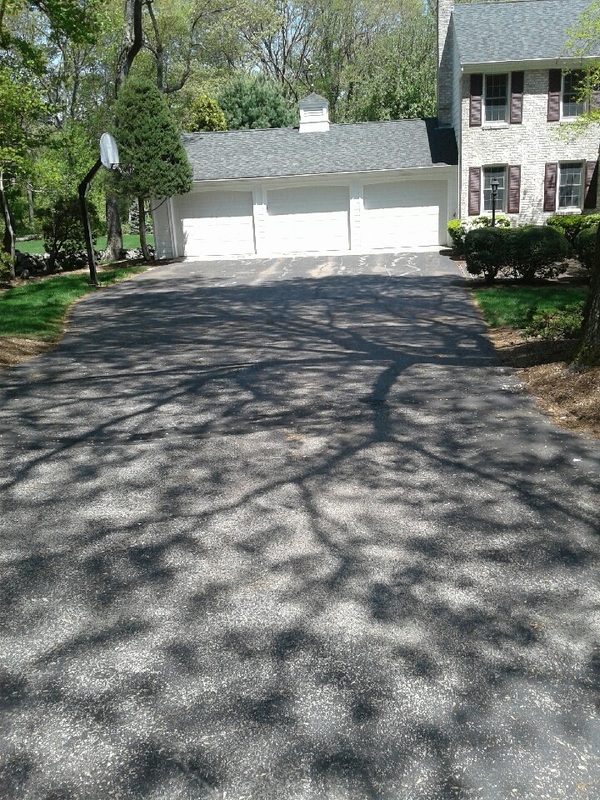 Besides water, other elements which will cause damage to your driveway are sunlight, which weakens the pavement making it brittle, and oil or gasoline leaks, which when allowed repeated contact with the asphalt will soften and erode the spots. 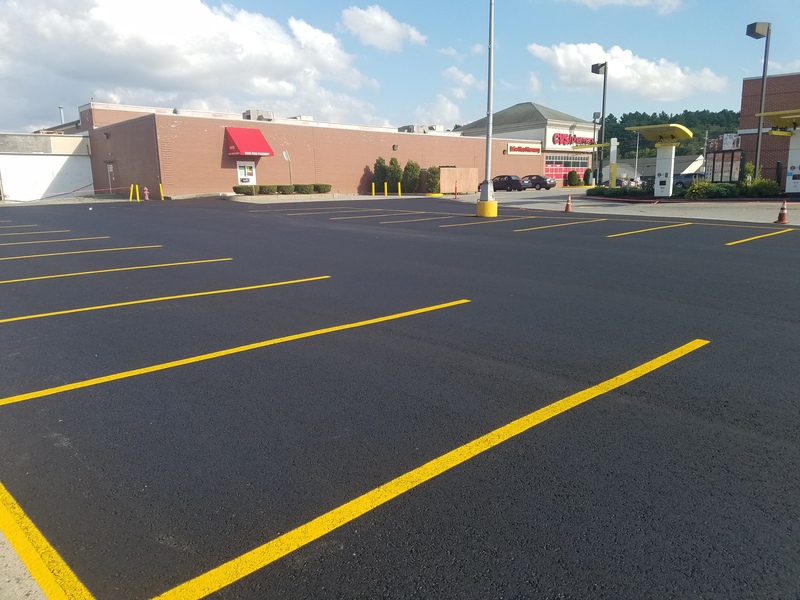 Sealcoating is the application of a liquid product engineered to protect asphalt pavement from the harmful environmental elements listed above, in addition to many other damaging effects. 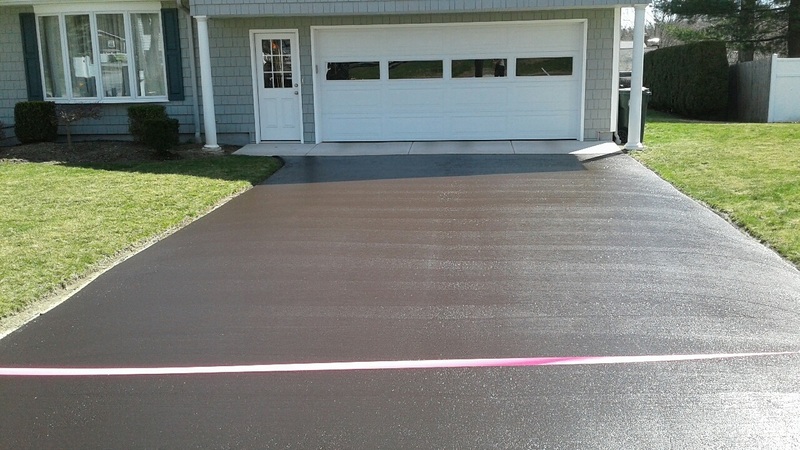 While protecting your investment by extending the useful life of the driveway, pavement sealer slows down the failure process and blocks out rain, ice, and sunlight. It resists harmful spills of chemicals like antifreeze and salt, as it is engineered from a coal tar emulsion, not soluble in oil or gas. In short, protecting your pavement with sealcoat is much like protecting your skin with sun block. 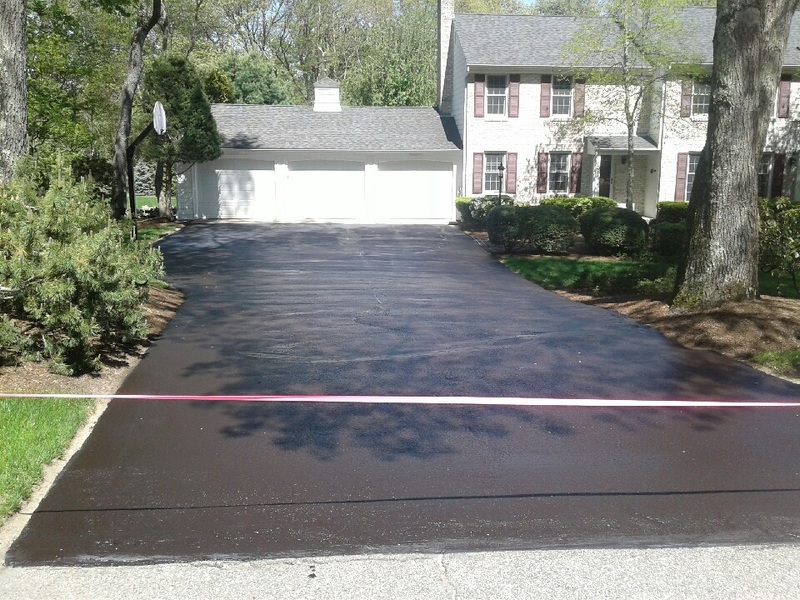 Of course, as well as providing this protection, the sealant will give your driveway a like new dark, black color, improving your property's appearance and value. One product which goes hand in hand with sealcoating is hot pour crack filler. Each estimate includes a linear foot measurement and price for the filling of the cracks within the pavement, if you have any at all. Typically, these will include those cracks which are greater that one quarter inch wide, up to one inch wide. The rubberized filler will prevent water from getting to the sub base, which would then cause further failure. We understand that you have choices, and that there are many local sealcoating companies who want to earn your business. As our product is not one that is applied once in a lifetime, but rather applied about every three years, it is important to not only earn your business today, but your trust and satisfaction for the future. We at Nu-Look pride ourselves in applying the best quality products by experienced professionals, and our reputation speaks of this loudly. Our people and equipment carry all necessary insurances as required, and documentation of this is available on request. The final price for work at your property is to be agreed upon, in writing, before we begin work. No additional charges from any extra work will be performed without the consent of our customer. The price on your estimate is all that you will pay. Once you decide to move ahead by accepting the free estimate, you will be given a schedule date, not a time. Our travel route for the day will dictate just when we'll arrive, so be certain to have your cars and any other items removed from the entire driveway surface by no later than 7:00am. 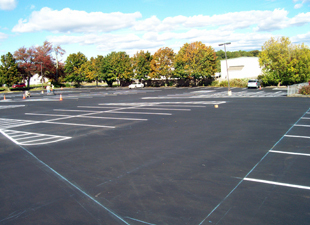 Plan on keeping all cars off of the surface for 24 hours after the application is completed. 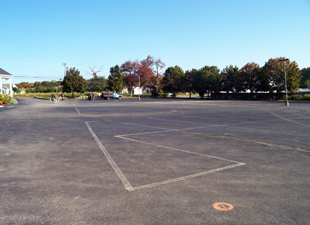 When we arrive, we will begin by performing a complete cleaning of the asphalt with powerful blowers and brooms, followed by the filling of any cracks, the application of the sealant by brush (never by spray at a residence), and finally we will rope off the end of the driveway with orange traffic tape. In many cases, we leave a job sign in a visible area. Please do not dispose of this sign, as they are costly and we will return to retrieve it within a few days. The sealcoating season in Rhode Island typically runs from early April to late October. We require air temperatures to be no less than 50 degrees and rising, with no rain and none expected. Please do not feel the need to cancel your appointment with us if you suspect rain. We carefully watch forecasts, and knowing our business as well as we do, make decisions to go forward or to stop during the course of the day. If it should rain and we do postpone your appointment, we will call you and give you a new schedule date in the future. If you have any questions that this information did not answer, please feel free to call our office during business hours, or leave a message in the evening. We'll be sure to get back to as soon as possible. "Great job on the driveway yesterday. I don't know how you guys do it, but there are never the typical swirls or brush marks. 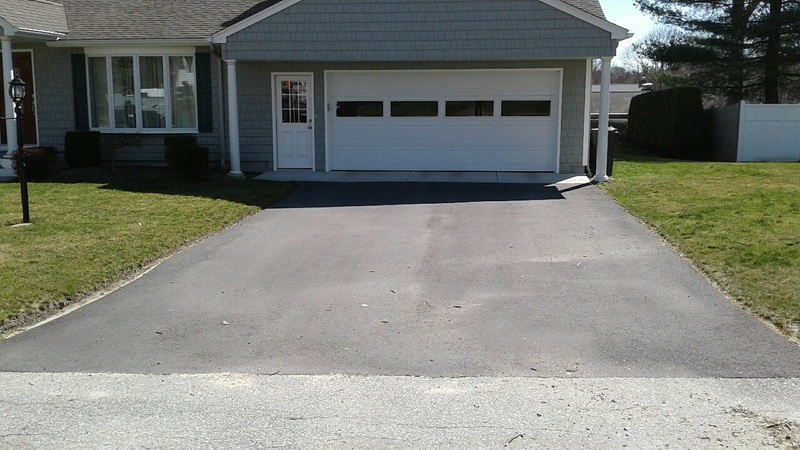 It always looks like a newly paved driveway rather than just seal coated. Always a pleasure to do business with you."